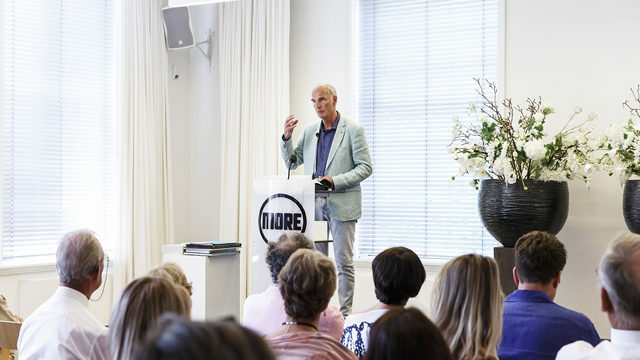 We kunnen de organisatie opnemen van exposities als gastconservator, werken aan de opbouw van kunstcollecties in samenwerking met de opdrachtgever, organiseren van kunstopdrachten of adviseren over kunstopdrachten en kunstmanifestaties. Our latest book on the art of The Hague University was published in September 2011 and titled Point of View. 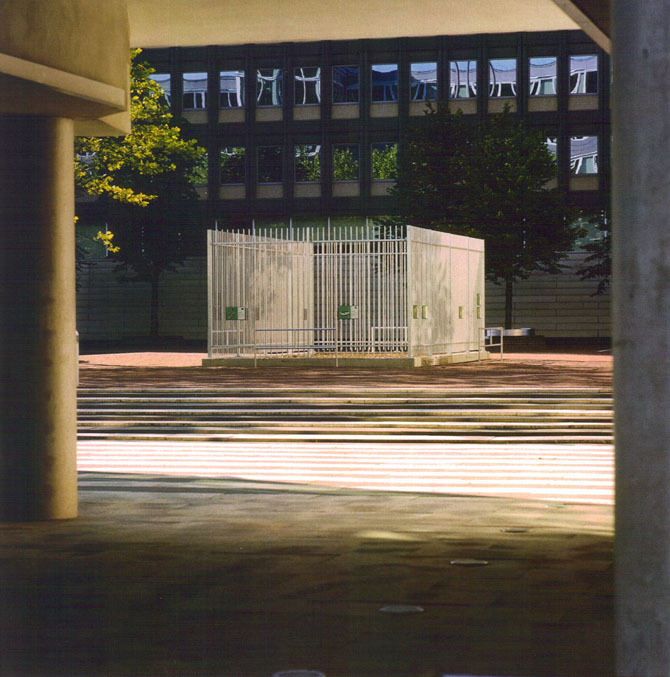 It is a survey of the art commissions and the collection of photography which we created for The Hague University. We assist with legacies concerning art collections or art works. We can make a professional inventarisation of the collection, a digital survey of the art works, a pre-valuation, make a selection or mediate for museums, auction houses, artists a.o., transport the art works or give it a temporary storage, check the art works for damage and advise on restoration. For the inventarisation we compose a list of the art works subdivided in items as: name artist, title, matter, size, weight, year, edition, origin, signature, presentation (framed), damage. We collaborate with notaries, taxation offices and art restorators. Project for two polders in the province of South-Holland. Artists: Theo Baart & Gerco de Ruijter (photography), KKEP (publicity), Rudy Luijters and Jeroen van Westen (sculptures in situ). 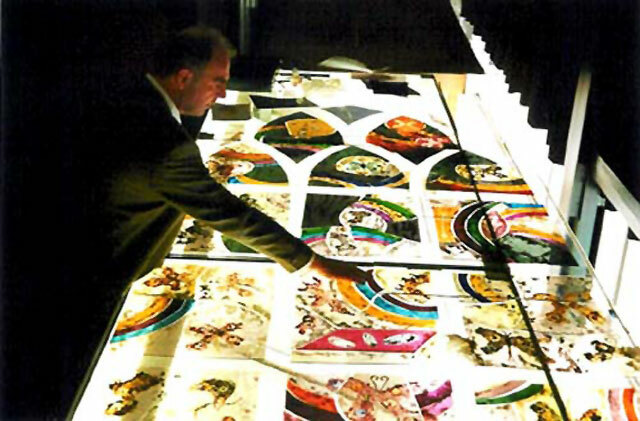 Stained-glass window project for the Reformed Church in the village Rhoon (Rotterdam), commissioned to Marc Mulders. Art project with the artists: Jeroen Doorenweerd, Jouke Kleerebezem and Frank van der Salm. 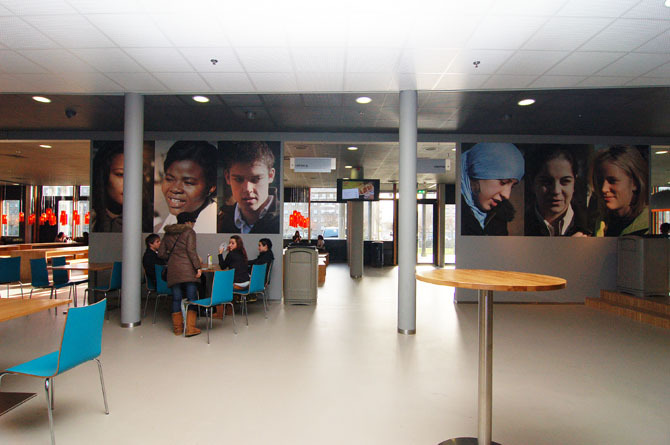 Photography project in commission for the Province of South-Holland. Artists: Wout Berger, Noor Damen, Wijnanda Deroo and Bertien van Manen. Monument Zoölogique (2001) with Pim Voorneman (Voorneman & Van Kranendonk Kunstzaken). Art project for the Province of South-Holland. 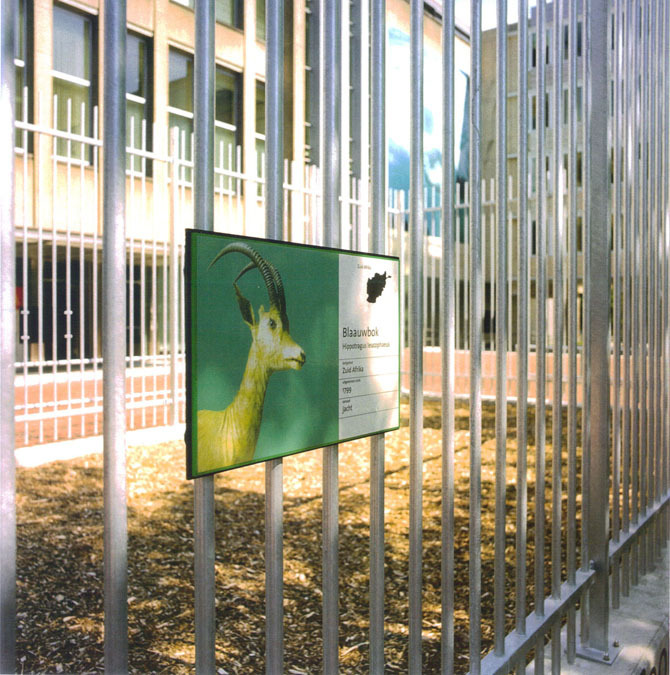 This monument (a large cage) was dedicated to the extinct species and is the first in its kind. At the same time the cage formed a genius loci, because the building of the Province of South-Holland is constructed on the grounds of the old The Hague Zoo. 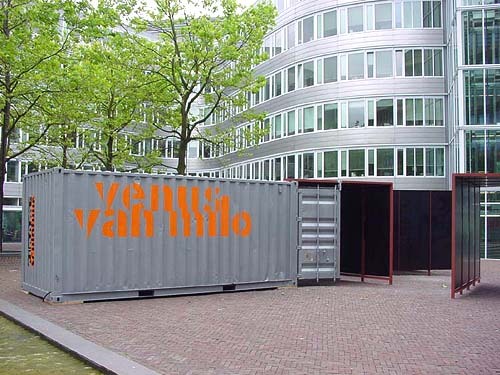 Three sea containers contained different film programmes from different artists. One could stand in front of one container screen and zap physically to another. Total programme time: 3 hours. The containers were constructed to give shelter against rain and sun: the programmes ran all day from 9 am till 7 pm. The projection was hidden inside the container. The containers proofed resistant to vandalism. Zien is Geloven, Lezen is Fantasie (to see is to believe, to read is fantasy). 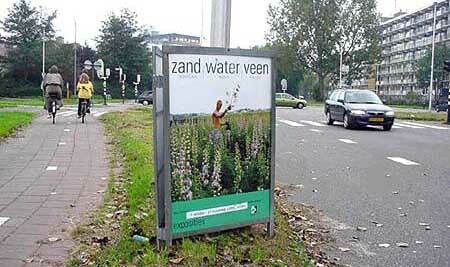 Art project for the Krimpenerwaard. Photo and storycompetition among the inhabitants of the Krimpenerwaard, an old polder in the Province of South Holland. The art project Atlas en Route put new maps of the Province of South-Holland in the picture. Maps designed to point at the values of archaeological sites in landscape and historical settlements in this landscape. Maps of value for governments of cities and villages in the Province. Maps for use of cultural heritage. In this art project three artists (Marcel van Eeden, Olphaert den Otter and Marcel Reijerman) made drawings of things in the Province they consider valuable. These drawings together with the maps traveled throughout the Province in a specially designed exhibition vehicle: the Atlasmobiel (designed by Dewijervoorneman).